I’ve realised that this year I’ve watched way more films that aren’t in English, than I have in previous years. In fact, in the Spring I watched more films in a foreign language than I had in the last couple of years combined. I’m not sure why I don’t watch more films that are in another language because there’s so many films out there that could be great and to not watch them just because I’ve got to read subtitles is just silly. I’ve noticed that when I watch films with subtitles, I pay more attention to the film and can therefore get absorbed into the story and characters more. I don’t know about you, but when I’ve found some random film in English on Netflix that I’m not super excited about and it’s just something to watch, I often find myself scrolling through Twitter etc as I can still hear and understand what’s happening even if the film doesn’t have my full attention. When I’m watching a film that’s not in English and has subtitles, I don’t touch my phone for the full runtime of the film and I get so much more out of it because of that. One of my favourite foreign language films is Banlieue 13. It’s a French action film full of brilliant stunts and it’s a lot of fun. The first time I saw it, I watched it dubbed as it was playing on a coach on a school trip to France. I loved it as soon as I saw it and bought my own copy, including the sequel, as soon as I could. Ever since then I watch it with the subtitles. I prefer to watch films not in English with the subtitles, as then you get to hear the voice performance of the actors as the filmmakers intended. I get pulled into foreign language films and barely notice the subtitles once I’m 10 minutes into the film. 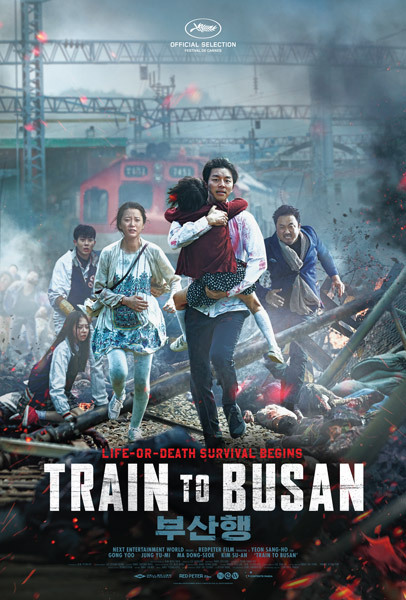 Some of my favourite films not in English that I’ve watched this year is the South Korean Train to Busan and the Danish The Guilty. Both are fantastic and super tense and, or course, they are both set to get American remakes. It’s a shame that so many people don’t step out of their comfort zone and won’t watch something that’s not in their native language. There’s so much out there and I know there’s more I want to catch up on so give me all your foreign language film recommendations!